Does anyone know where I can find this Kids Preferred security blanket for my 2 year old daughter? It was given as a gift about 30 months ago. My daughter loves this bunny blanket, and I am looking for a back-up just in case. 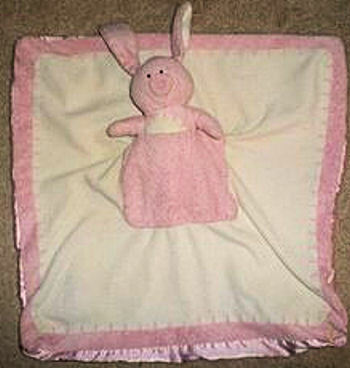 It is pink and white with pink satin underneath the stuffed animal portion of the blanket, and the rabbit fits in a pocket on the front. Are you still looking? Feel free to give us an update. Hope one of these can help. Let us know if you get the blanket or are no longer searching.